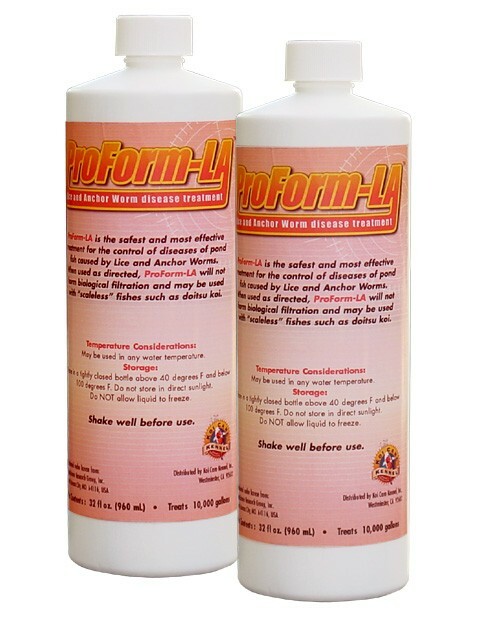 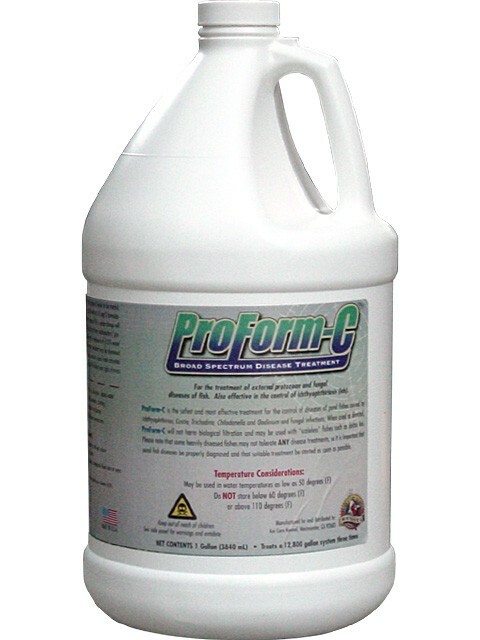 ProForm-LA is the safest and most effective treatment for the control of diseases of pond fish caused by Lice and Anchor Worms. 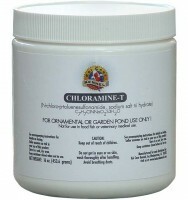 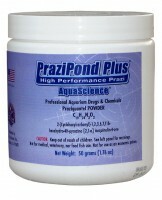 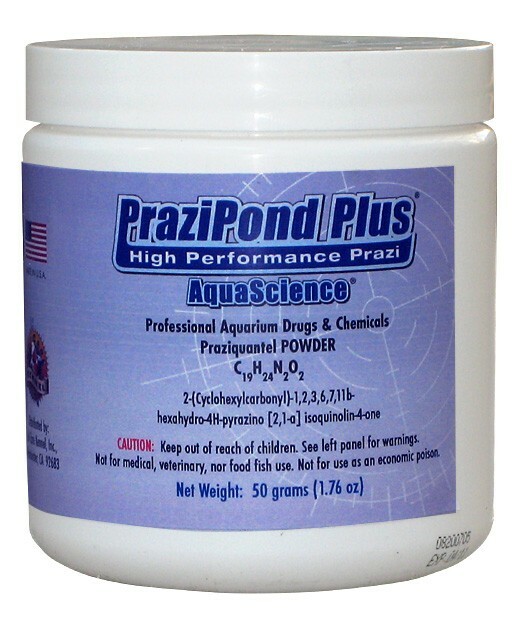 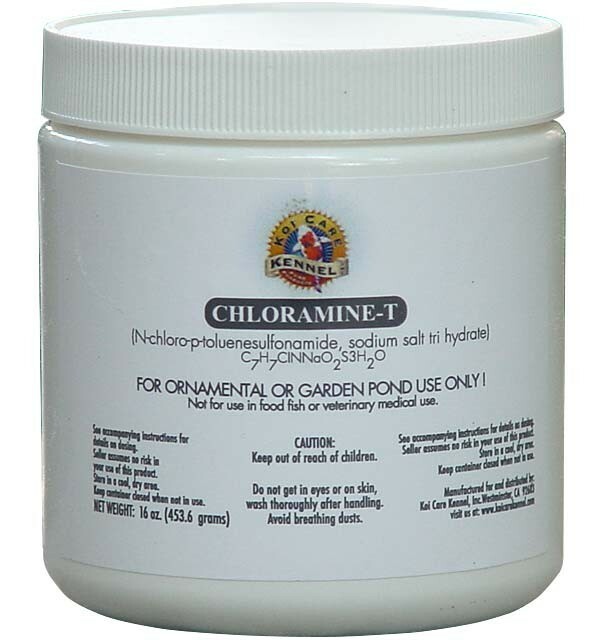 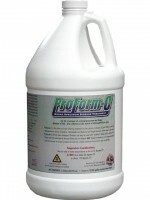 It is just as safe to use on pond fish as Dimilin, yet it is much safer for human contact. 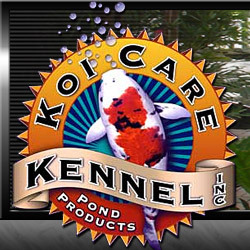 It will not harm reptiles (turtles), amphibians (frogs) and mollusks (snails). Available in Quarts (treats 10,000 gallons) and Pints (treats 5,000 gallons). 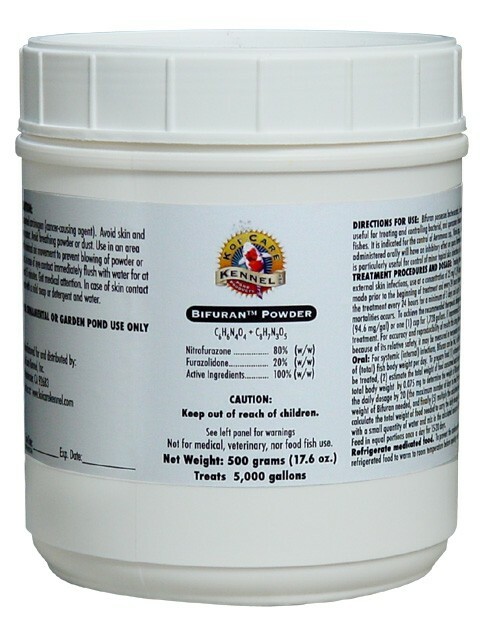 Available in 100 gram, 500 gram and 1 kilo jars.